This Usalama report by Jason Stearns et al. 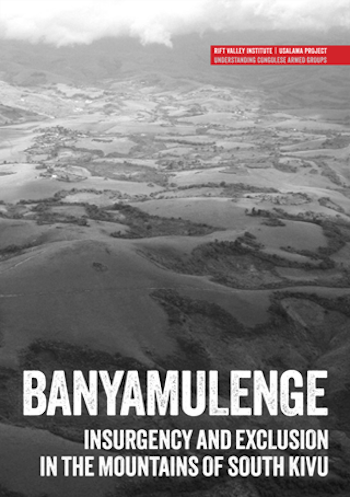 examines the Banyamulenge, a Tutsi community in the Eastern DRC that has been stuck in a cycle of insurgency and exclusion for over 20 years. While the last major Banyamulenge insurgency came to an end in 2011, armed groups and foreign involvement remain a threat to the area's communities.